Cumbrian boy takes to the stage at The Royal Albert Hall. Six-year-old Noah Wall took part in a charity concert alongside hundreds of musicians with learning disabilities. Around 50 of the seals and their young pups turned on the man as he walked along a beach near Eyemouth. 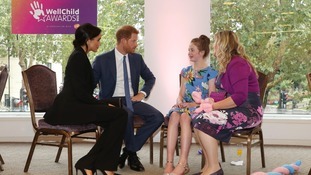 A Cumbrian teenager met The Duke and Duchess of Sussex when she picked up a national bravery award. A teddy bear left behind after a music festival has been re-united with his owner following a social media appeal. 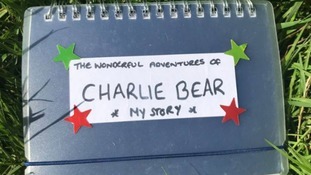 Charlie Bear was discovered, alongside a book about his adventures, on the site of the Electric Fields Festival at Drumlanrig Castle. The festival took place between Thursday and Saturday. When Charlie was found, the Electric Fields organisers took to Facebook and Twitter to trace his owner. And they reported this afternoon that the appeal had been successful. 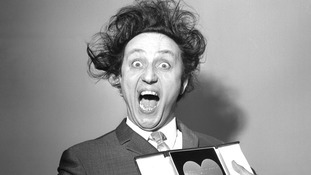 The legendary comedian made an appearance on the Border TV programme in 1973. Hundreds of people took part in activities to mark the start of the Chinese New Year. A young violinist from Stainton near Kendal has landed a place in the National Youth Orchestra. Dozens of classic cars were drive through the region today, for the 20th MG Christmas Cracker Run. Facebook has blocked an artist from selling her animal-themed Christmas cards online due to their "sexual" and "adult" nature. Happy 110th Birthday to Cumbria's oldest resident!